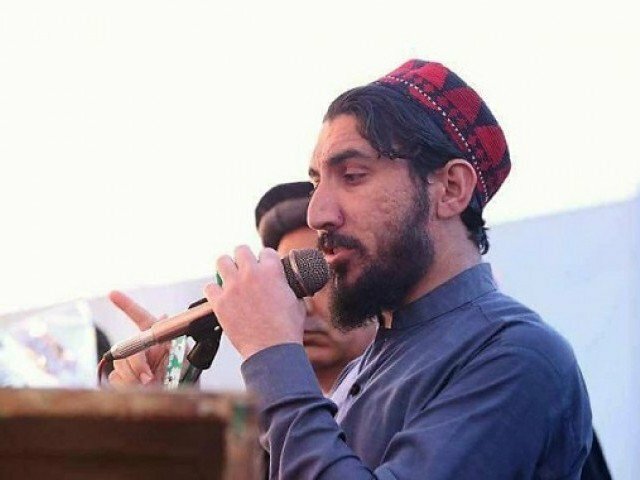 Manzoor Pashteen, leader of the Pashtun Tahafuz Movement (PTM) that has recently staged a series of protests against extrajudicial arrests and killings of members of the ethnic minority allegedly by the security forces, has said that the protesters would approach the United Nations (UN) in case the Pakistani state does not give them their due constitutional rights. “Our next step is to mobilise as many people as possible, to unite and demand our rights under the constitution. We want to settle our demands in court so that we are assured of the agreement. “We want to end this issue within Pakistan, but if it doesn’t happen, then we will take the issue to the United Nations and appeal to the global society to stand with us in these hard times,” Pashteen said in a recent interview with Al Jazeera. The killing of an aspiring model from the community – which makes up about 15 per cent of Pakistan’s 207 million population – in January sparked countrywide protests. On Sunday, Pashteen led another Pashtun Long March in Peshawar, demanding protection and rights. According to the Pashtun leader, there were only 22 people with him when he started the protest in March. “But very soon, thousands joined us. We had no idea these many people would join us.,” he said, calling it a miracle. He said that Pakistan would become stable if the law enforcement and security agencies are held accountable for their actions with checks and balances. “Extrajudicial killings and missing persons is not unique to Pashtuns. If a commission is formed to solve these issues, it will also benefit others,” he said, adding that if the state can address the grievances of Pashtuns, who have experienced violence and injustice, and yet have protested peacefully, it will set a new precedent. Defending the protest movement, Pashteen said that their protests are constitutional. He condemned the labelling of the protesting Pashtuns as foreign agents working for Research and Analysis Wing (RAW), India’s spy agency, or the Afghan intelligence agency – National Directorate of Security. The Pashtun leader said the movement will not resort to violence even though attempts were being made to sabotage its peaceful agenda. This socalled Movement is a big scam created by Asfandyar and Achackzais. The Nation know their bleak past. Both are offspring of traitors hence they must be treated as such. This collection of traitors represent our enemy in the East and West. Yours is the only paper that is promoting them! Why? Only you can tell. You should be ashamed of yourself by calling Asfandyar Wali, M.K Achakzai and Manzoor Pashtun as traitors. Stop this non-sense now. You people can’t keep quite us by such ridiculous statements. You are a moron sir. My “You are a moron sir.” comment was for Pearl and tbh, the dude that calls himself Pakistani as well. U r also a moron hamza. Not friendly to Pakistan.